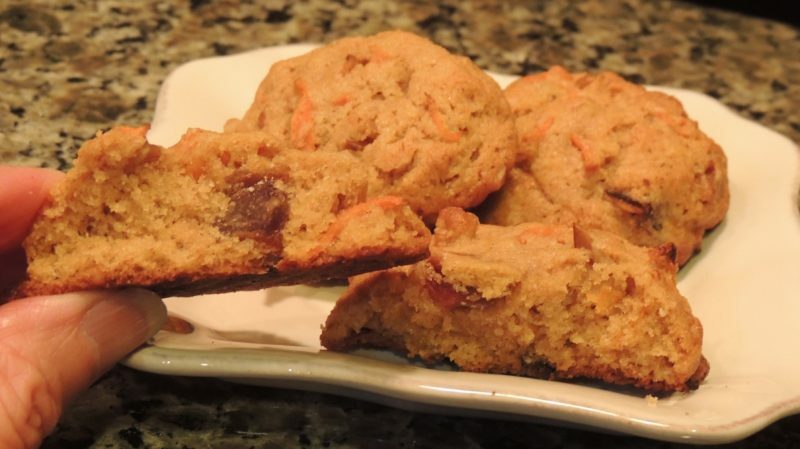 These are a cross between a cookie and carrot cake, and one of our favorite desserts to include in a lunch bag. If you don’t have dates, use raisins instead. 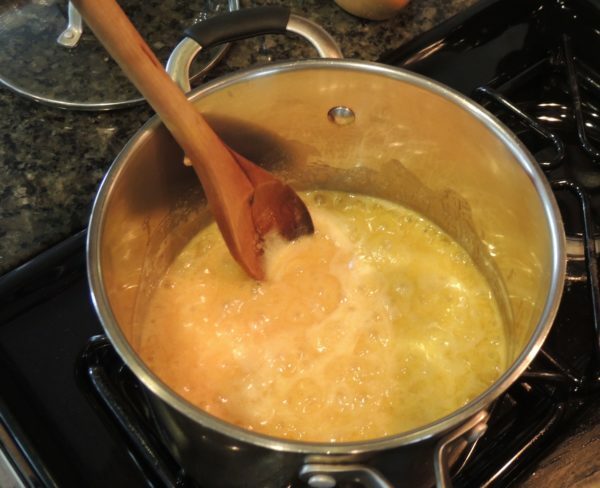 Cook butter, sugar, and honey in a large saucepan over medium-low heat. Once the mixture begins to foam up and simmer, turn to low and cook about 1 minute. Remove from heat to cool while you continue. Combine all of the dry ingredients in a medium bowl and stir. Chop dates then add to the flour mixture. Use your hands to separate the date pieces and coat each with flour, so they will not stick together. Chop pecans and add to dry ingredients, stirring to coat. Grate carrots and set aside. Once butter mixture has cooled somewhat, stir in the vanilla and egg. (The egg will cook if it’s too hot, so make sure it’s cool enough. 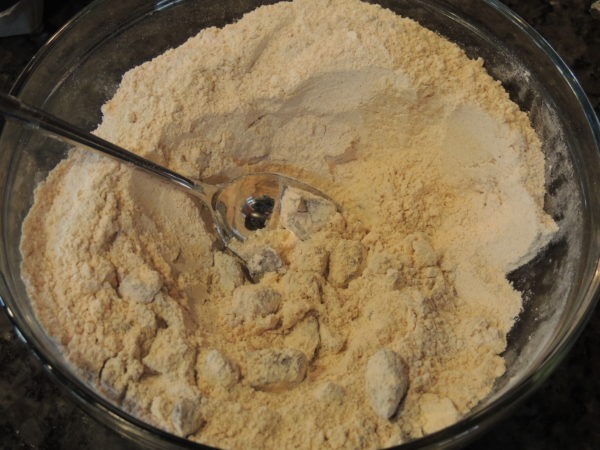 Add flour mixture to the saucepan, and stir gently to moisten the dry ingredients. 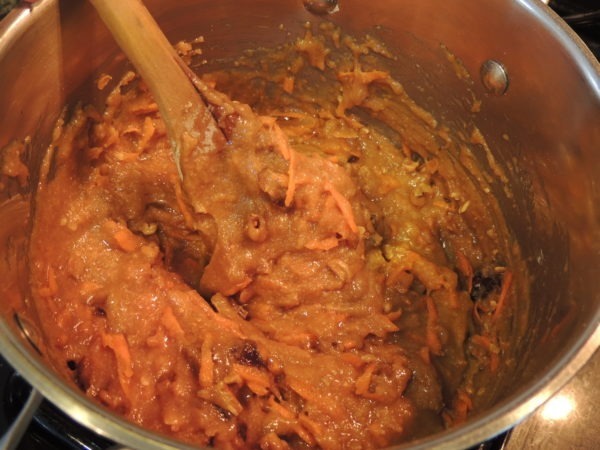 Stir in carrots, but don’t overmix. Refrigerate dough (which is very soft) for at least 2 hours. 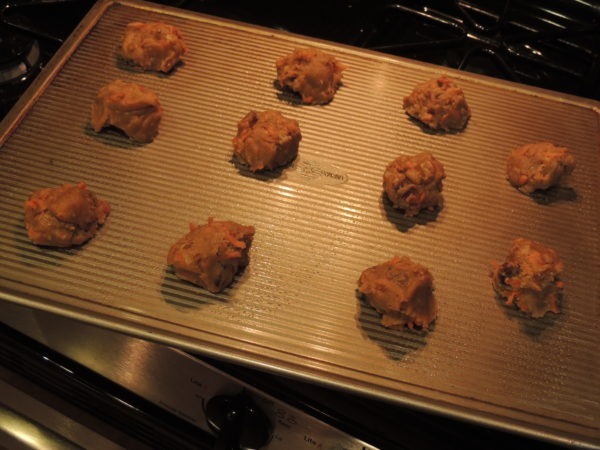 Scoop a spoonful of dough and roll into 1- to 1-1/2 inch balls, or drop in mounds onto an ungreased baking sheet. Bake in preheated oven 10 to 12 minutes. Remove from oven and cool about one minute. Use a food turner to transfer from the baking sheet to a cooling rack, or place on a plate or piece of wax or parchment paper. Substitute raisins or currants for the dates.